Given their positioning at the coalface of the UK’s franchising landscape, it’s only right that our country’s franchisees are recognised for their efforts on a yearly basis. And there can be no better accolade than picking up a gong at the annual bfa HSBC Franchisee of the Year Awards, supported by Express Newspapers, for which the 2014 finalists have just been announced. With the esteemed awards celebrating their 25th anniversary this year, it’s somewhat fitting that a record number of entrants have come forward this time around. We suspect that’s owing to an equally record-breaking year for franchisee success stories – but it’s a happy anniversary either way. For those of you unaware how the awards work, there’ll be a winner crowned in each of the six categories, with the top award of bfa HSBC Franchisee of the Year 2014 being selected as one of those six. The overall winner will take home a tidy £10,000 and each category winner will receive £1,000, courtesy of HSBC. The tricky decision will be made by the judging panel after two days of presentations and deliberations on July 16 & 17, with the winners announced in Birmingham on October 2. 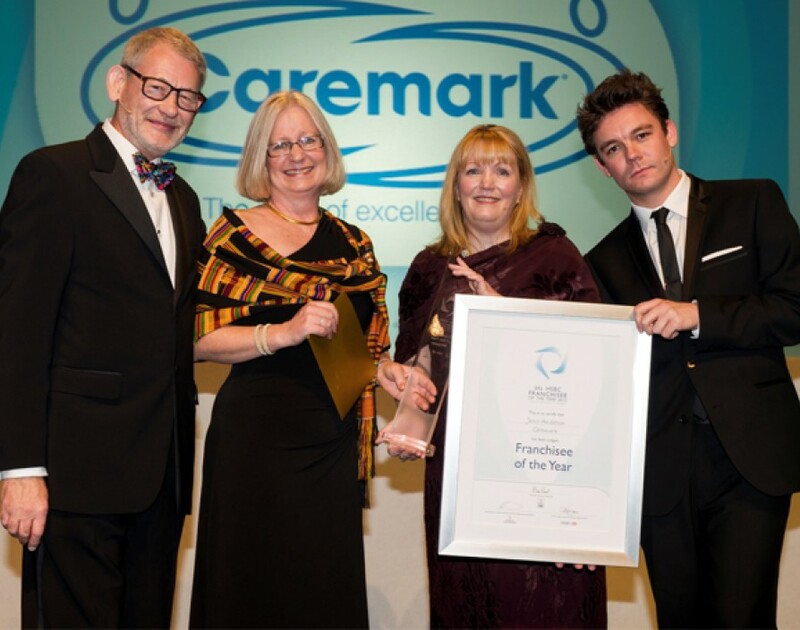 Caremark will be hoping to follow up its franchisee Janis Anderson's (pictured) win last year as the care franchise's Redcar and Cleveland franchisee Charles Folkes goes for the Olderpreneur Franchisee of the Year trophy. The Elite Franchise team wishes the best of luck to all involved – but in our eyes, everyone’s a winner. How MagiKats achieved growth after the founders "fell into franchising"